Camp Hero is located at Montauk Point, which is the tip of long island. The old military base holds a special place in my heart because I'm a total nerd. Supposedly the U.S. government conducted several experiments with time travel using Tesla and Alien technology. 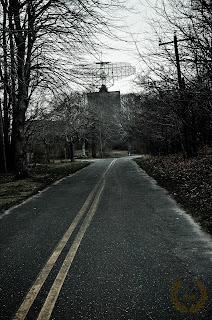 If you like mad science, check out the book, The Montauk Project: Experiments in Time. If not its still a beautiful place to visit with spectacular ocean views. Its also located near the Famous Montauk Point Light House, which you can actually climb up in. Super Rad! Camp Hero is strangely creepy, with its run down, boarded up buildings and underground bunkers with huge cannons pointing to the ocean. Go!